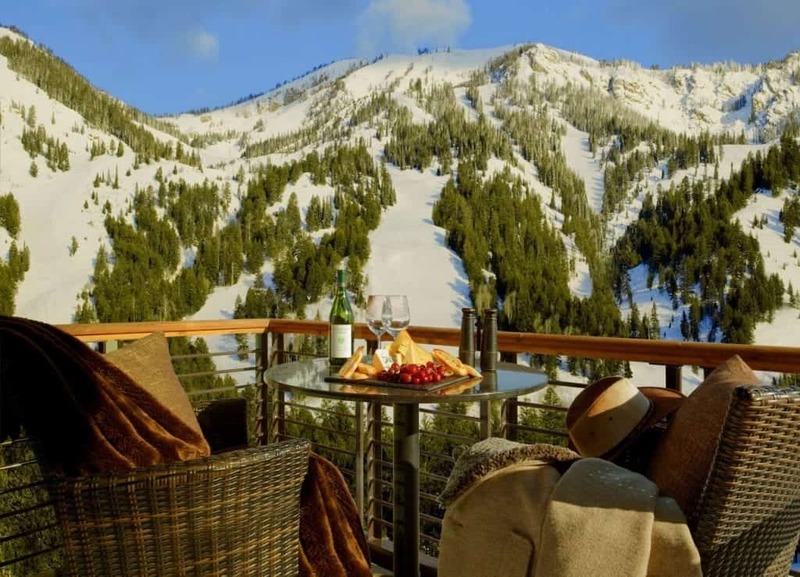 Are you looking for the best time to visit Jackson Hole, Wyoming? 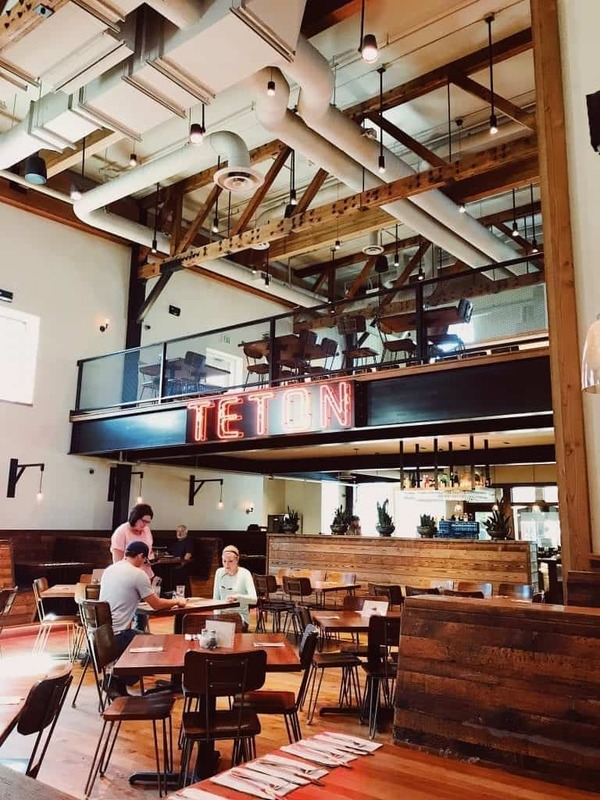 After making a trip to this destination in both the summer and the fall, we have the scoop on when to visit and what to do once you’re there. 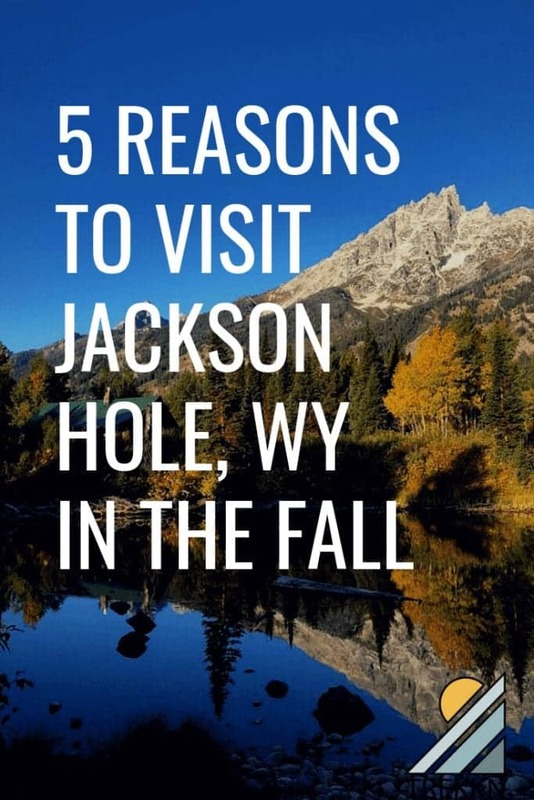 Before I get into all the reasons to visit Jackon Hole in the fall, let me preface it by saying summer is quite amazing as well. 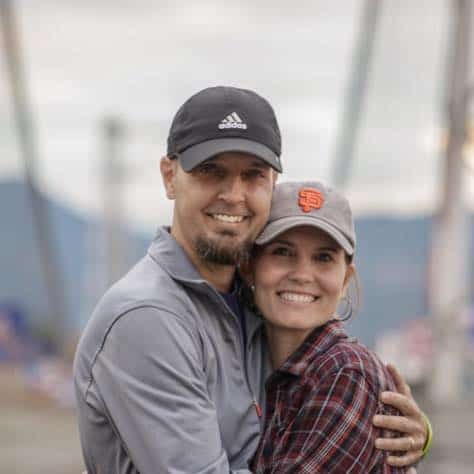 We made a stop there in July and had such an amazing time. It was beautiful, the weather wasn’t too hot for us Texans and we found so many fun things to do. Like the Alpine Slide and Cowboy Coaster. But. It was busy. Very, very busy. As I mentioned, the summer crowds were pretty intense and my guess is winter is just the same. 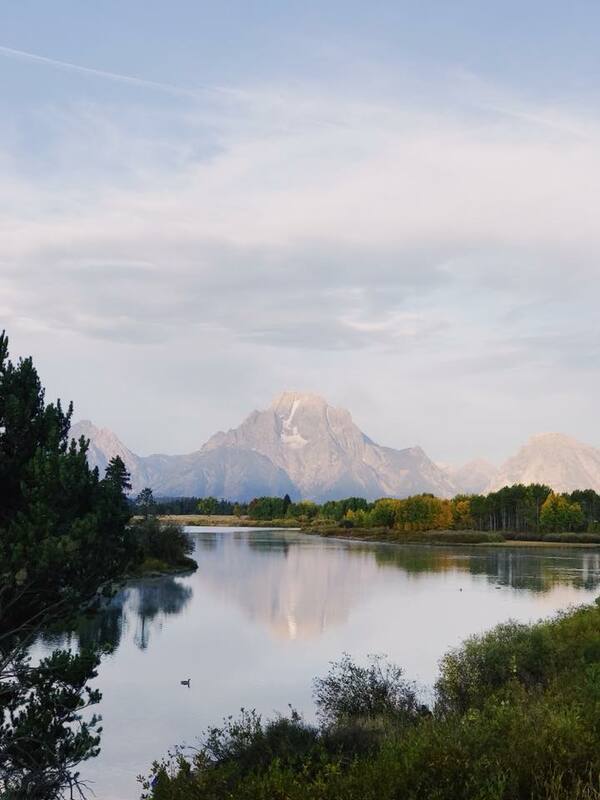 From walking around town trying to navigate the crowds to having to stay at an RV park an hour from Grand Teton National Park, everything was super busy. Walking around town was so nice because the crowds were minimal. Finding a place to eat was also easy. 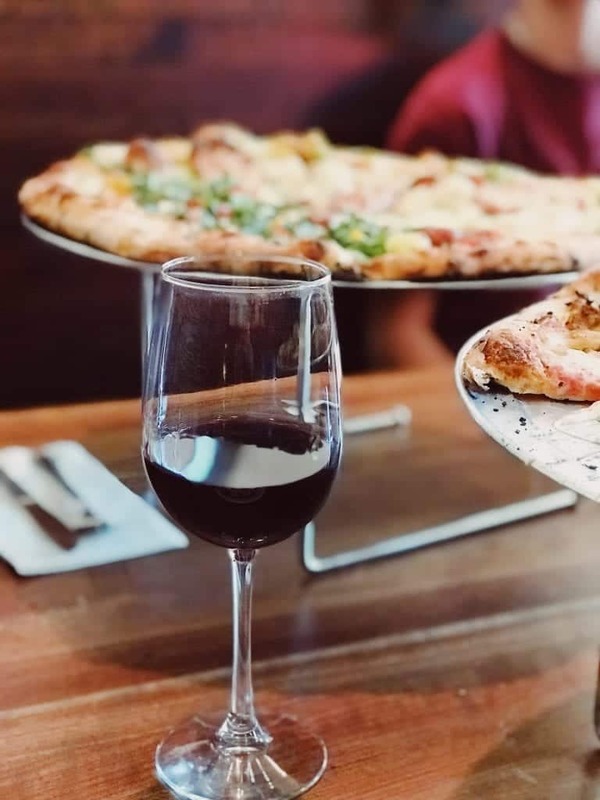 We recommend Hand Fire Pizza: Great wine and beer selection and delicious pizza made before your eyes in the open kitchen. And traffic wasn’t near as bad as the summer, making it easy to find a parking space and navigate our way around town in a big truck. 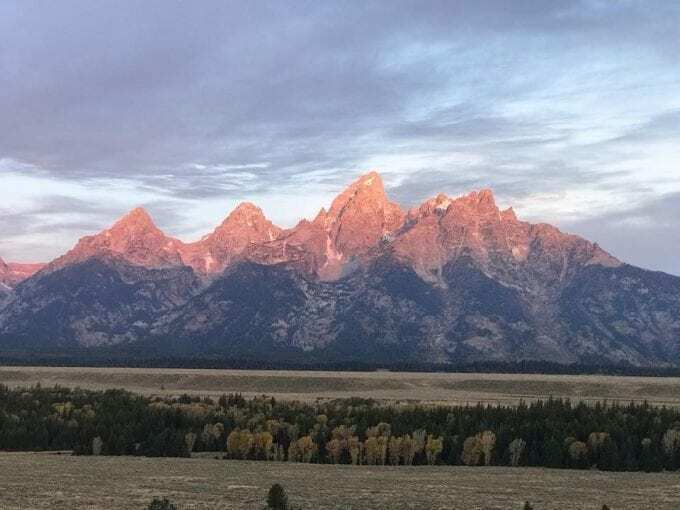 The guys woke up several times at sunrise to grab some pictures of the sun hitting the tips of the Tetons and the fall foliage. I joined them once (I’m not a morning person) and was actually happy I woke up that early. As we quickly found out, this time of the day was a photographer’s paradise. This spot with the reflection of the mountain was particularly popular. But whether you get up at the crack of dawn, head out in the middle of the day or stay out for sunset, there are plenty of opportunities to enjoy and photograph this area in the fall. As we were walking around Jackson in September, we kept saying how perfect the temps were. 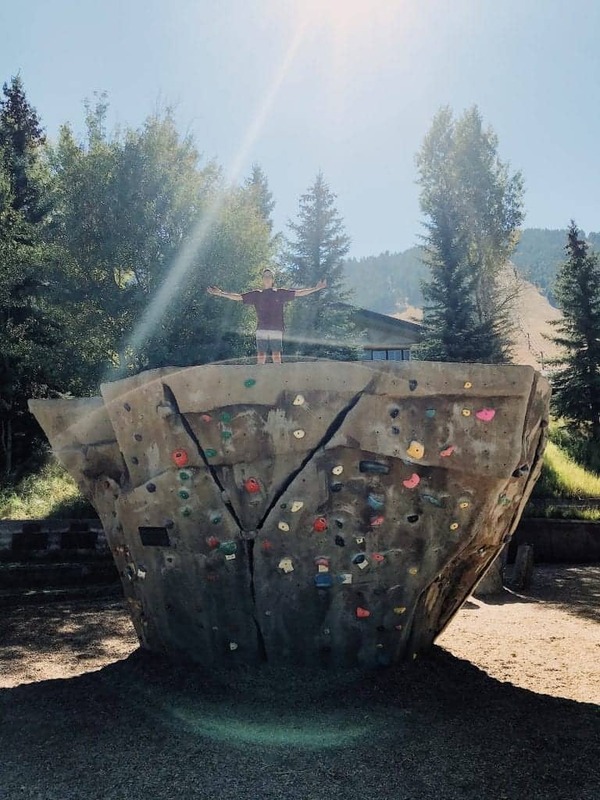 With highs in the low 70s, it was just the right temp to walk around their downtown area for some shopping, sightseeing and climbing on their very cool outdoor rock wall. It did get down into the 30s at night and although we were in an RV, we stayed nice and toasty warm. It was actually quite enjoyable to walk outside in the morning and breathe in the cool, crisp air. Wildlife was everywhere during our visit in September. From deer, elk and a moose the guys encountered on the trail, we were ecstatic at how much wildlife we saw. The deer, elk, and moose are in their breeding season, so they make their way down to where park visitors can get a good view. While we didn’t see any bear, the campground told us to be very careful because they had a mom and her cubs walk right past the office a few days before we arrived. Bears tend to frequent these areas looking for food before winter arrives. Several times we were sitting in our RV with the windows open and we could hear the elk calls. Talk about a magical experience. 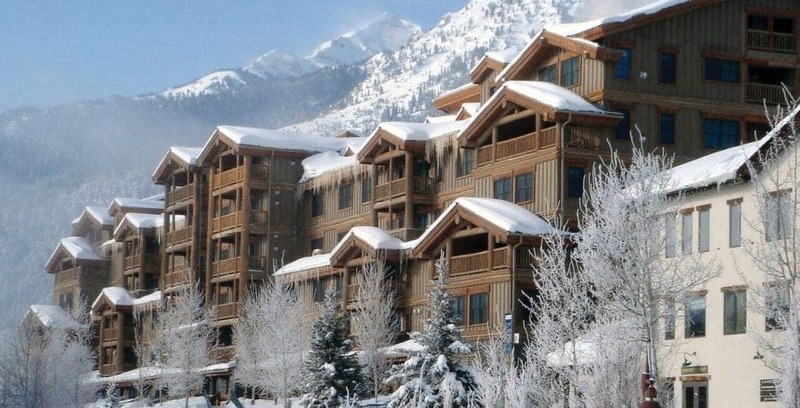 Teton Mountain Lodge & Spa and Hotel Terra Jackson Hole are both located slopeside to Jackson Hole Mountain Resort. 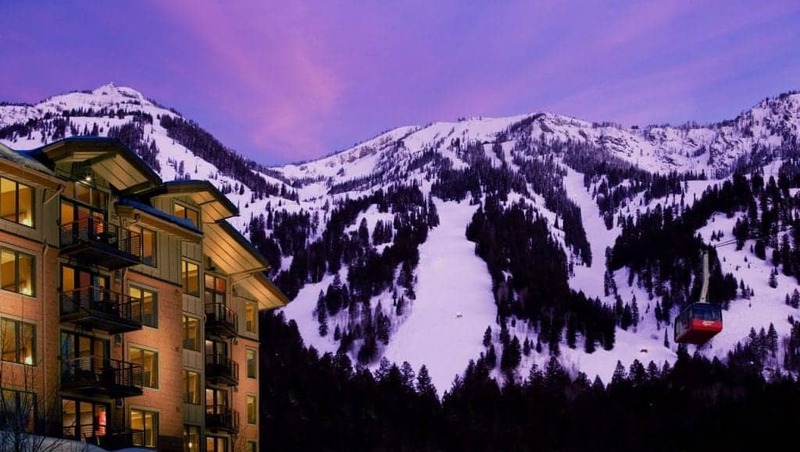 Both of these resorts are popular winter destinations and for good reason. Just look at them surrounded by snow. 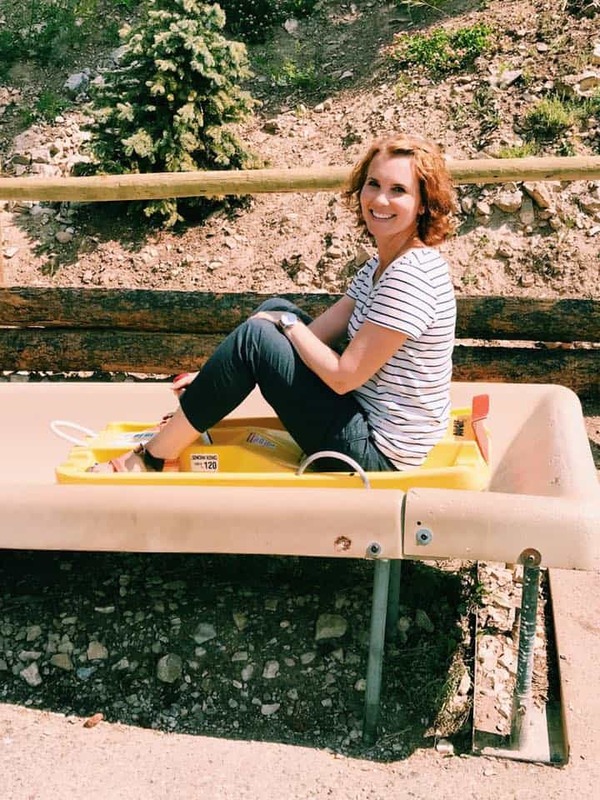 As you can see, there are plenty of things to do for adventure seekers and outdoor enthusiasts. 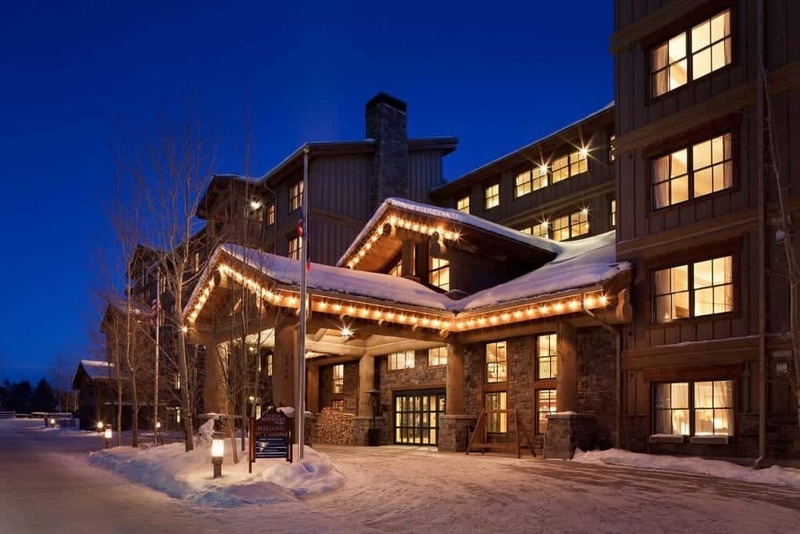 If you’re flying to Jackson Hole, Wyoming, be sure to check on their flight deals, including 11 daily non-stop flights + deals at each of the hotels: Hotel Terra Vacation Packages & Offers and Teton Mountain Lodge Packages & Offers. 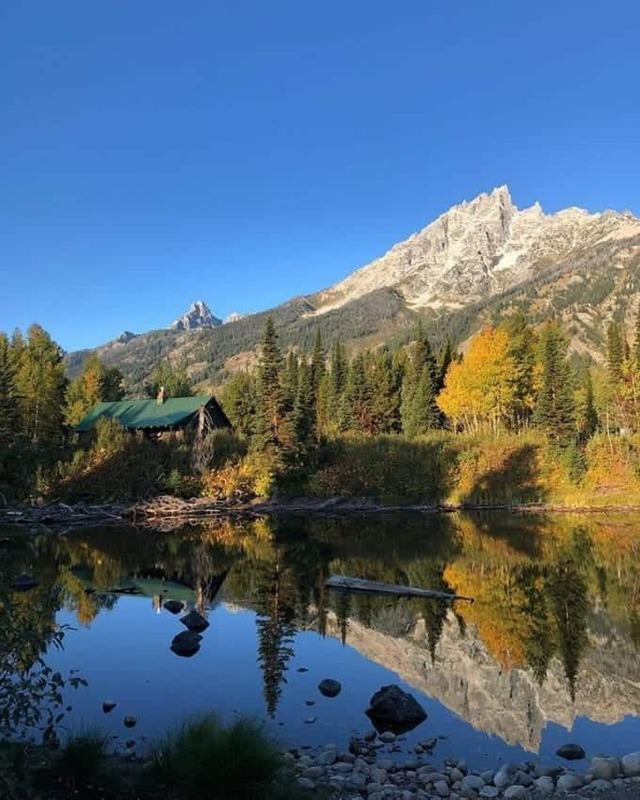 Have I convinced you to at least start doing some research on a visit to Jackson Hole Wyoming and Grand Teton National Park in the fall? I hope so. You won’t be disappointed in your experience!